Corning ice pans are multi-purpose pans that are a great non-toxic alternative to conventional ice pans. EVA has little or no odor, is inert and used in biomedical engineering applications such as drug delivery devices. 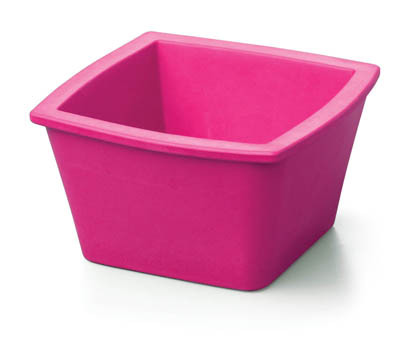 The multi-purpose containers are highly insulative, stackable, unbreakable, lightweight and leak-proof. Containers will not“sweat”or deform and have a textured finish on the bottom to prevent slipping on the benchtop. Ideal for use with ice, dry ice (-78°C), liquid nitrogen (-196°C), alcohol or saline solutions, or warm solutions (+93°C). Available in a variey of colors. Non-toxic, recyclable ethyl-vinyl acetate (EVA) foam containers for use with ice, dry ice, liquid nitrogen, alcohol slurries. Will not sweat, leak or skid on bench.